Sandy Beach on the south shore of Oahu has it all. 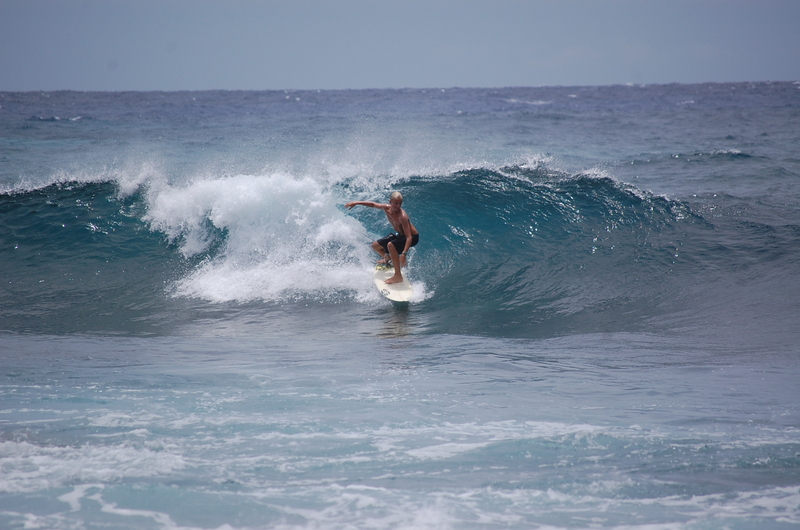 Great sand, crystal clear water, big park, lifeguards, an incredible shorebreak and a few slabby reefs for surfing. And the beach scene is something out a reality show: South Shore Beach Scene–Glee meets Point Break meets North Shore. The water at Sandy Beach is crystal clear. President Obama at Sandy Beach. People love to criticize Obama as feckless. But let me tell you, pulling into a wave at Sandy requires cojones. And the Tea Party hacks wouldn't even be able to drag their pasty blubber past their knees before being knocked down by the whitewater. This is where President Obama went to bodysurf during his campaign for President. 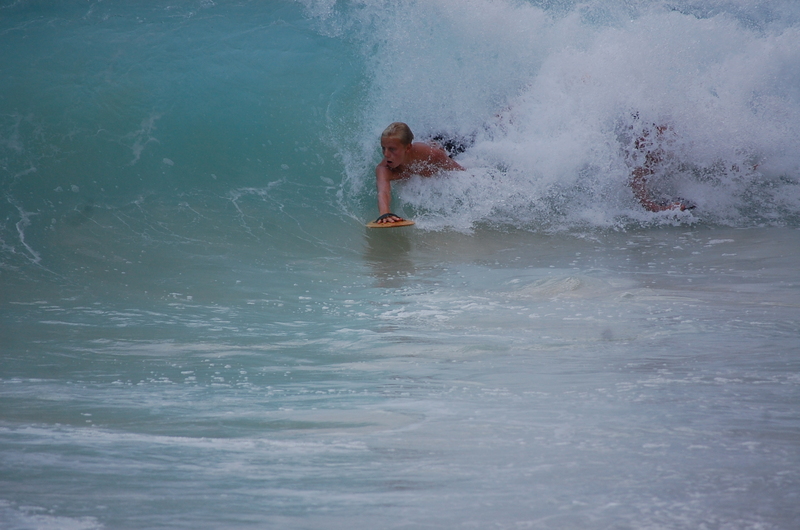 And when surfers worldwide saw him put out his arm in the classic bodysurfing position, we knew we was the real deal. And let me tell you-Sandy Beach is legit brah!!!!! I can guarantee not on of those Tea Party goofballs would last a minute out there in a one on one with our Bodysurfing Prez! 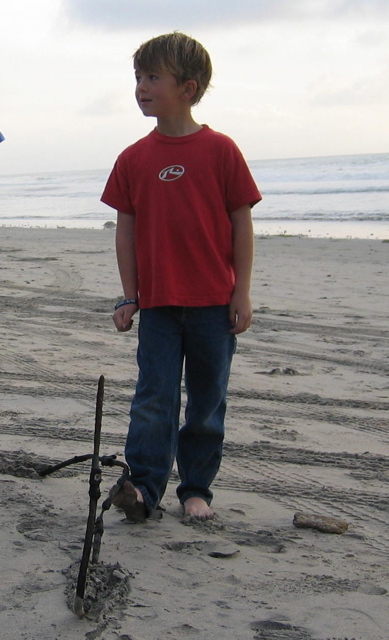 My youngest son Daniel on left on the east side of the beach. 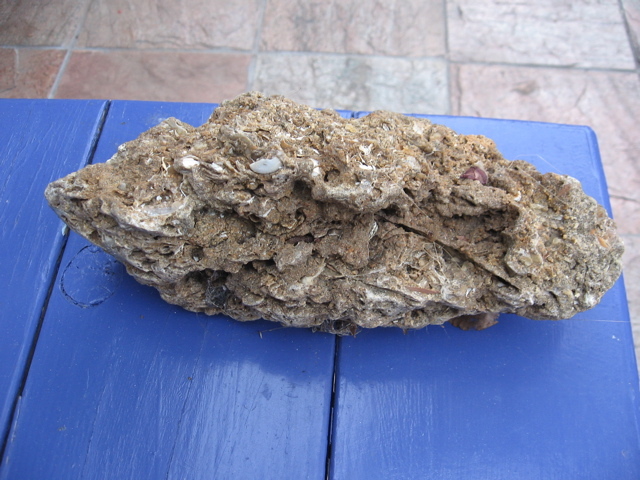 Rocks everywhere just below the surface. 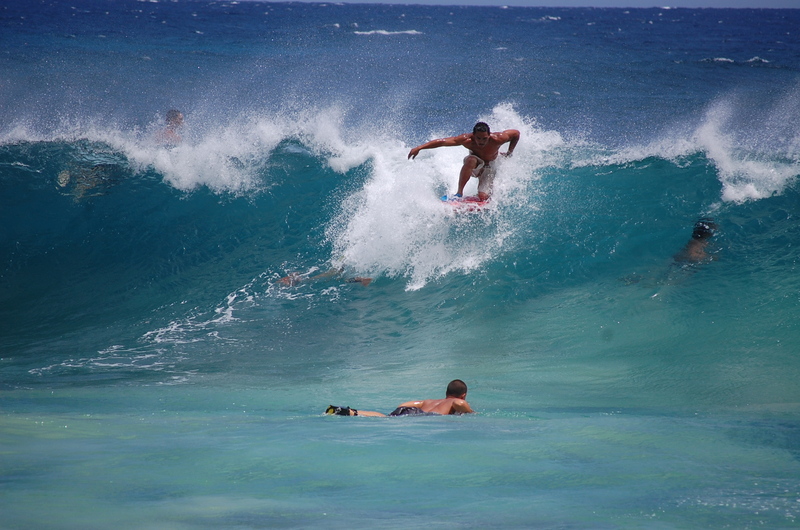 Sandy Beach is a bodysurfing haven. The key is to find something to use as a hand planer.Daniel and my oldest son Israel share a fun wave. When it gets big the risk of injury is high. According to the lifeguards, there is nowhere else where more necks are broken in the U.S. I believe it. Daniel driving into the barrel. The bodyboarders are amazing. 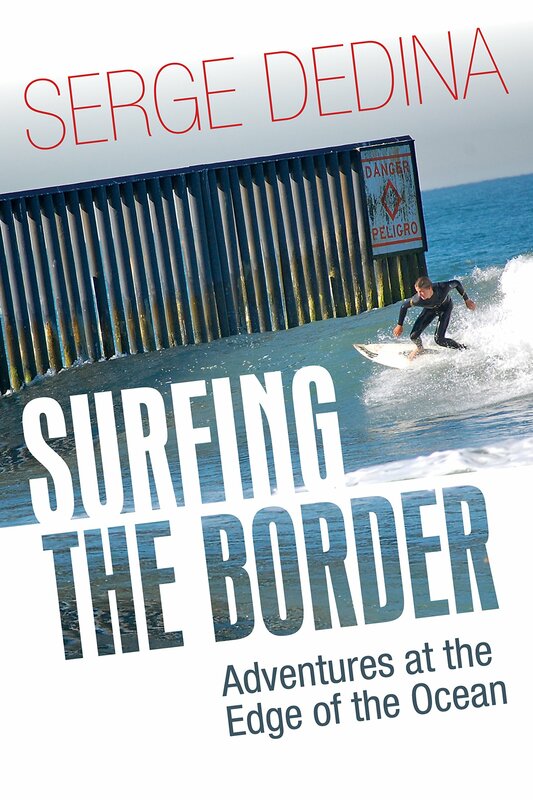 Many are standing up and just surfing their bodyboarders. One told me that he was "a surfer surfing a boardyboard." These waves require committment to get over the hump and into the face. This guy was ripping. These were not easy waves to make. The wave boils over the reef. The right off this wave is a crazy barrel. A guy was backdooring it all afternoon (no photos though). DIY bodysurfing tools--a swim paddle, homemade hand planer, and a McDonald's food tray. 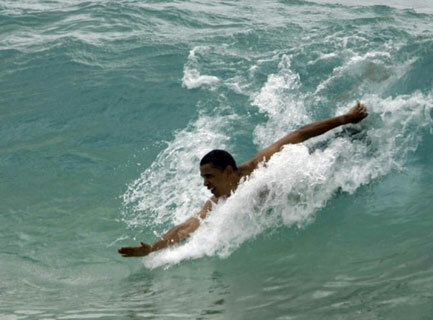 What seals the deal on President Obama's bodysurfing street cred is the fact that he can go left and right. The man knows what he is doing. Looks to me like he is a "goofyfoot" and favors going left (as I do). 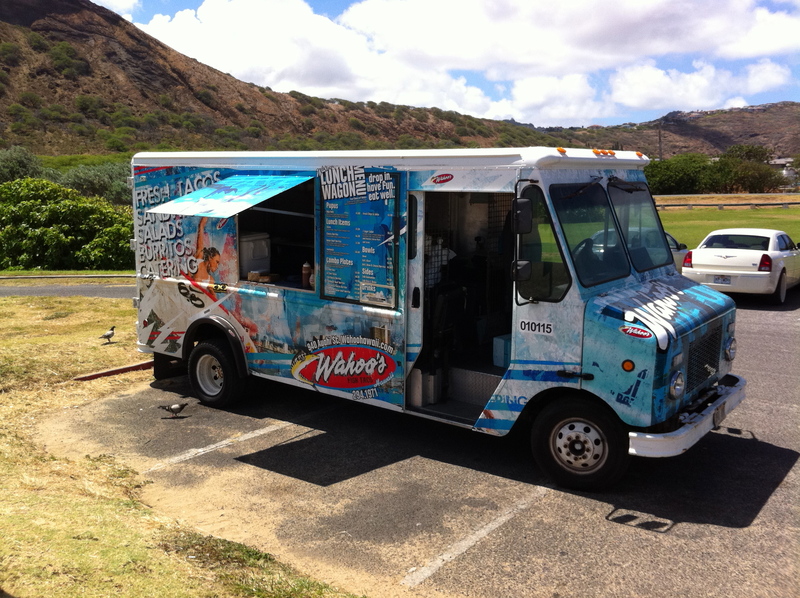 Oh yeah, when you get hungry, you just stroll over to the Wahoo's fish taco truck--the only one in the world!